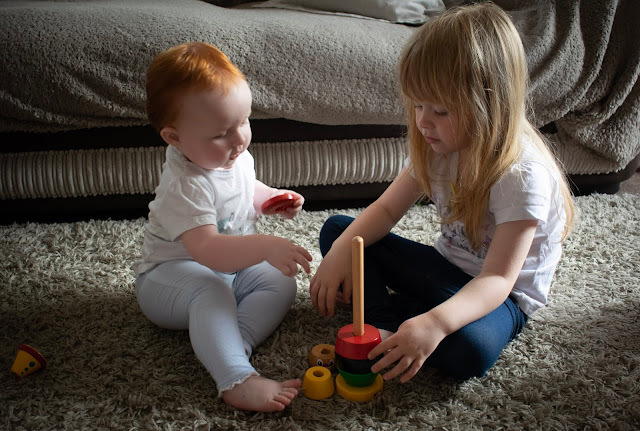 If you are a regular reader, you will know that we are big fans of wooden toys in our home. I prefer them, I think they look nicer and brighter but they also last longer, and even when they are knocked and bashed, they still look good as new. 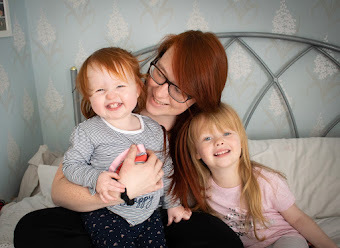 We were recently sent the BRIO stacking clown to review, and I couldn't wait to get it out to show the girls. 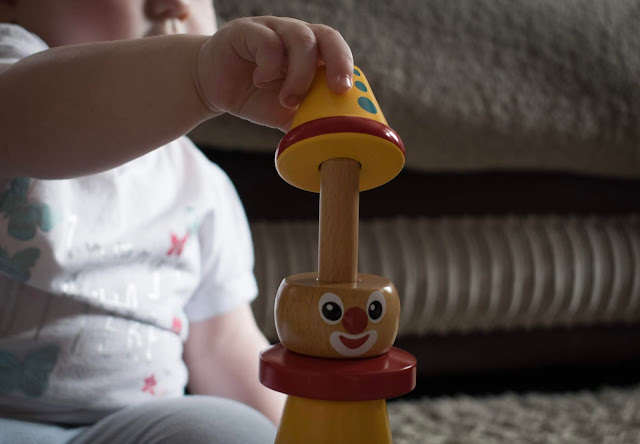 The age group for this toy is 12 months +, Isabelle has just turned one, and Emily is almost four but I'm happy to report that they both loved the stacking clown, they did, however, play with it in different ways which just goes to show how diverse the toy can be. The quality of the BRIO stacking clown is amazing, it is made from FSC Certified wood. You get 9 pieces in total, the base, 6 different coloured and sized rings, 1 clowns head and a clowns hat. The pieces fit together perfectly and create a clown which both of the girls loved. 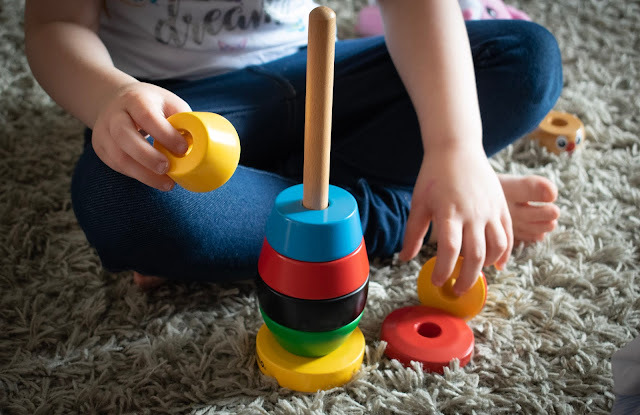 I did find it a tad annoying to pick up, as once it is on the side there is no space at the top to pick it up from, which Isabelle in particular struggled with, as it meant the top piece would slide off and she would drop the whole thing on the floor leaving her frustrated. The classic wooden toy from 1955 teaches, ordering, colours and focus. 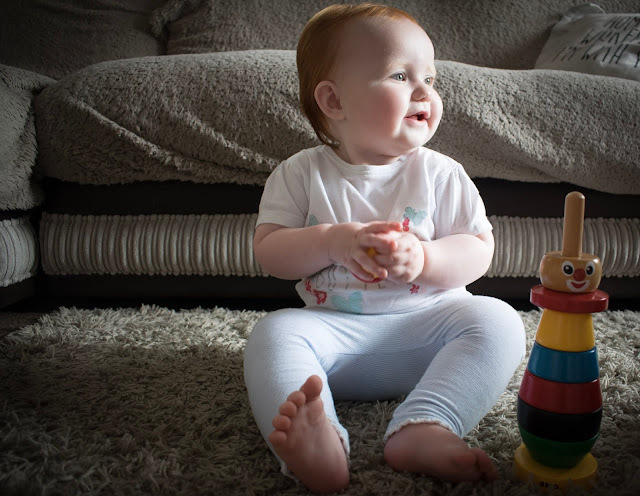 It is brilliant for hand-eye coordination, sequencing skills and helping little ones develop their grasp. It is clear to see why the stacking clown is so popular. Both of the girls constantly reach for this to play with, and I know that it will be a toy they constantly reach for no matter how old they get. 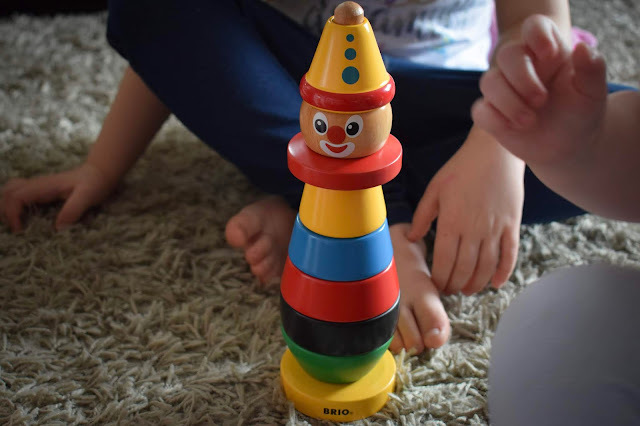 The BRIO Stacking Clown has a RRP of £17.99 and you can buy it directly from the BRIO website.